Do you have plans to be out at Lake Murray for the 4th of July? Are all of your friends gathering at your house for an evening of fun, sparklers, and fireworks? Are you having a low-key night at home with just your immediate family? However you are choosing to celebrate the 4th of July this year, let us help you out and make your holiday easier! Don’t worry about what to serve for supper – we can take care of that for you. We have put together three BBQ packages for you to choose from and pre-order. 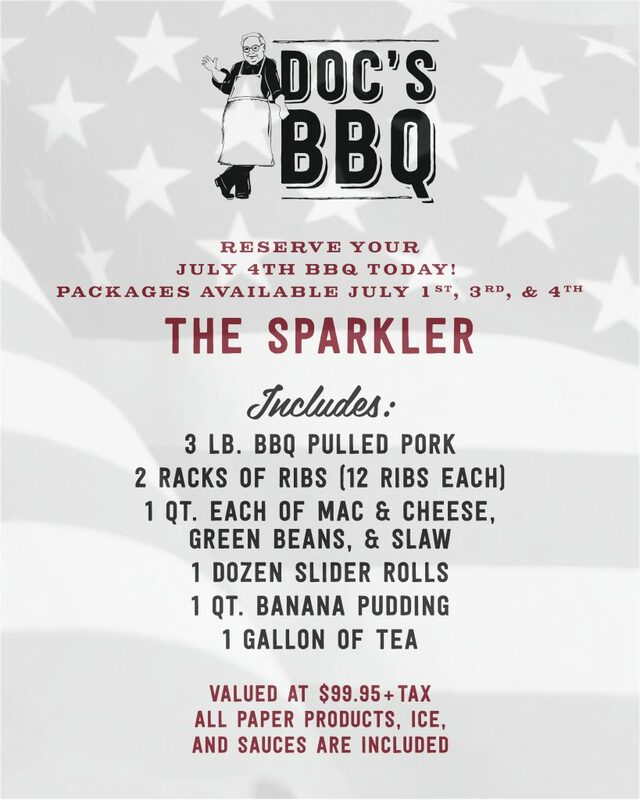 Our 4th of July packages are The Sparkler, The Roman Candle, and The Rocket. No matter the size of your party, you will be able to find the perfect package for you below. 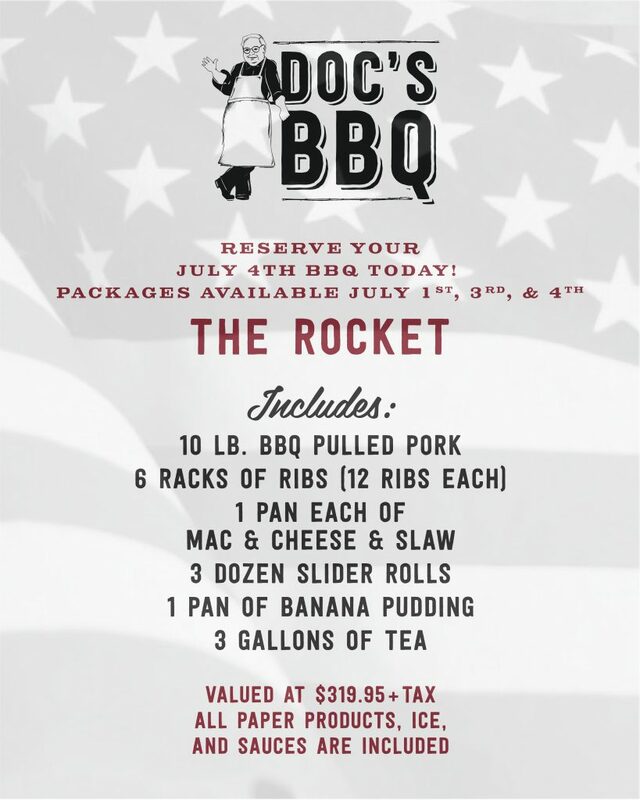 Stop by today or give us a call at 803-799-1532 to pre-order your 4th of July BBQ Package today. We will ONLY be accepting pre-orders so be sure to get your order in ahead of time. All packages are available to be picked up July 1st, July 3rd, or July 4th. Just pick your package, pick your pick up day, and get ready to enjoy a delicious meal! Lunch ServedMONDAY THROUGH SATURDAY11:00 A.M. TO 2:30 P.M.